Don’t miss the legendary American Icon’s first New Zealand tour in 13 years! CHER, the worldwide superstar and icon, will make her highly-anticipated return to Auckland this year. Celebrating one of music’s most phenomenal and enduring careers, now spanning six decades, Cher is returning Down Under after a 13 year absence. Fans need only wait just few months longer before the award-winning actress and recording artist will bring her spectacular ‘Here We Go Again’ show to Auckland’s Spark Arena on Friday, September 21. Due to heavy demand for tickets to see the one and only Cher, a second and FINAL Auckland show has just been announced at Auckland’s Spark Arena on Saturday, September 22. Tickets will go on sale 1pm Friday, July 13. Fans can expect to be dazzled by Cher’s renowned lavish and flamboyant costumes and elaborate stage production, while revelling in a more than 90-minute performance of hits and classics such as: “Believe”, “If I Could Turn Back Time”, “Strong Enough”, “I Found Someone”, “Gypsys, Tramps & Thieves”, as well as going all the way back to where it began, with “I Got You Babe”. As Cher says: “It’s been 13 years since I toured there so I thought ‘let’s do it one more time’”. Cher last toured New Zealand in 2005 when she sold out Auckland’s North Harbour Stadium and Christchurch’s Westpac Centre as part of her three-year Farewell Tour, which played to more than three million fans worldwide and remains one of the most successful concert tours in history. My Live Nation members will be able to access a special pre-sale commencing midday Thursday, July 12. For complete tour, ticket and VIP Experience information, visit: livenation.co.nz. Beginning as a studio backing singer, Cher met fledgling producer Sonny Bono and they quickly became 1960s pop sensations with the worldwide smash "I Got You Babe". Their attention-grabbing hair and clothes were an early hint of Cher's subsequent influence on the world of fashion. Cher stunned the music world with yet another dramatic re-invention in the 1980s, culminating with her controversial hit video for "If I Could Turn Back Time". But it would be her venture into dance music with the Grammy-winning, 20-million-selling "Believe" that eclipsed it all. Along the way she has been richly rewarded with an Academy Award for best actress in "Moonstruck", a Grammy, an Emmy, three Golden Globes, a Cannes Film Festival Award and a People's Choice Award. In July this year Cher will return to the big screen in “Mamma Mia! Here We Go Again”. 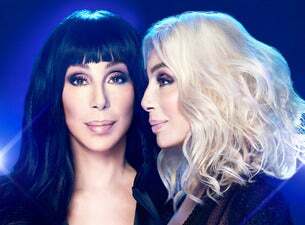 Due to tremendous demand, Cher is currently performing an extended run of the spectacular Classic Cher show at Las Vegas’ Monte Carlo Resort Park Theater, continuing a multi-year run.